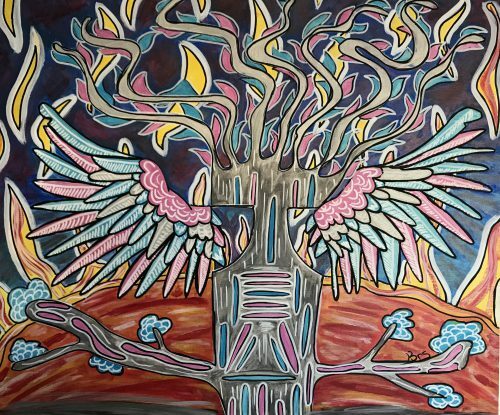 The Phoenix Tree stands alone on a planet at the end of the Andromeda galaxy. Gathering power from a nearby sun it spreads its wings to send its eternal song out into the galaxy. It is the keeper of knowledge, the balance of the cosmic force and the guardian of the deepest secrets.